A leaked slide showing that the LG G6 would be equipped with a Snapdragon 821 sounds like very disappointing news to the general public who were waiting to upgrade to an Android flagship in 2017. However, it is very easy for the general consumer to assume that the manufacturer is going through a ‘cost saving’ strategy when there are a number of things happening behind closed curtains and all of those business decisions have been undertaken to make sure that LG is able to provide consumers with a premium product while making a profit. Here we explain the strategically impressive decision that it took to make sure the G6 gets announced earlier, along with the necessary trade-offs the company has to make. LG knows very well that its smartphone division is nowhere near as successful as Samsung’s and even if the G6 was launched at the same time as the Galaxy S8 while running a Snapdragon 835, chances are that the company would not have borne sufficient fruit from its hard work. It is honestly not the company’s fault; the V20 is a great example of a smartphone that comes with its hefty share of premium features but because of Samsung’s global popularity driven by the public’s impression of the brand, the V20 was and is still regarded as the most underrated flagship of 2016. This, combined with LG’s lack of marketing campaigns as opposed to Samsung’s did not make a very successful recipe to sell phones in 2016 so we’re hoping that the company has changed its stance on experimenting with different marketing campaigns the same way it will end up giving the G6 a complete design and feature overhaul. 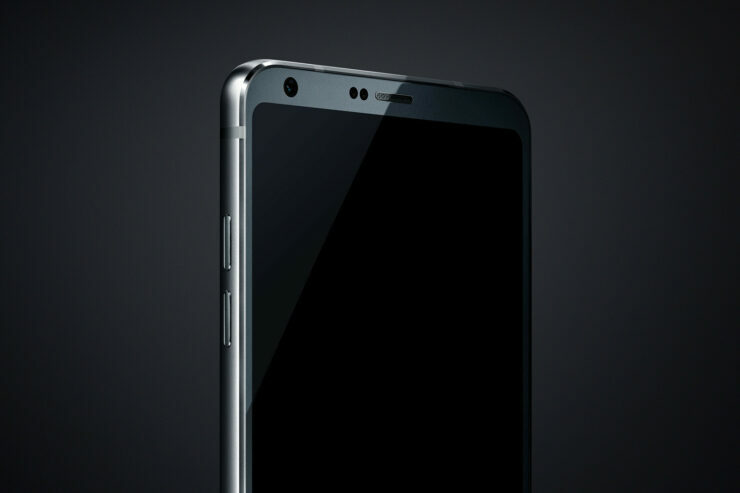 As most of you know, the smartphone is going to be announced on February 26, and Samsung’s absence at the MWC 2017 trade show in regards to releasing a smartphone should be a breath of fresh air because the Korean firm isn’t wasting any time in rushing the launch date of its G6. According to our previous report, the G6 is going to launch in Korea on March 9, then immediately head to the United States on April 7, giving it a massive 6-week timeframe advantage. This formula was also well thought out; first sell a device on its home turf where it will be easier to distribute the phone, then make it across the market which generates the most revenues from smartphones. However, this rushing process has cost LG just one major trade-off and that happens to be featuring a Snapdragon 821 instead of Snapdragon 835. Mobile hardware has come to a point where the performance difference of a Snapdragon 821 and Snapdragon 835 will be visible in benchmarking tests and charging times (since Snapdragon 835 supports Quick Charge 4.0, thus charging the phone much quicker in contrast to Quick Charge 3.0). Though we also expect battery life to improve as a result of the smaller lithography, if you’re the kind of user who invests multiple hours on his smartphone, it is unlikely that you’ll see the benefits of a 10nm FinFET chipset. I also managed to read the comments where one person said that LG should price the handset at $500 otherwise it is going to be a complete waste. This decision I am assuming was probably made because the information was divulged that the G6 would ship out with a Snapdragon 821 instead of a Snapdragon 835. To bring in a different comparison, OnePlus 3T currently has its 128GB storage model up for pre-order, with the smartphone’s price being a hefty $479.99. Its specifications are definitely great on paper, but there are more than a few gripes from the flagship that has resulted in pricing the device at that point; lack of water-resistance, 1080p display, poor stabilization on front and back cameras, lack of storage expansion, and lack of wireless charging support. Despite these limitations, the OnePlus 3T is going for a rather expensive $479.99, so looking at the G6 and what it is bringing to the table, how can you possibly imagine that LG should price it in the same bracket as a OnePlus 3T while giving more than its fair share of features? From a business decision, and the fact that there were very little options to choose, our opinion still stands that the company chose the better path out of the two, and we’d like to hear what you think down in the comments.